ENGEO has chosen the Sunshine Coast as the home of its first office in Australia. 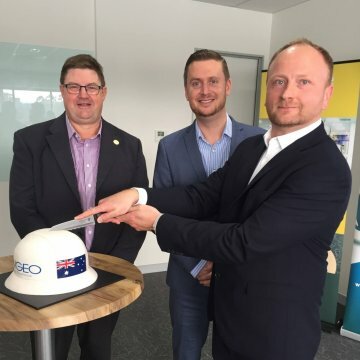 Founded in the United States in 1971 and New Zealand since in 2010, ENGEO officially opened its Maroochydore premises on the 7th of June 2018 after opting for the Sunshine Coast ahead of opportunities elsewhere. It has plans for eight full-time staff on the Sunshine Coast over the next two years and up to three new Australia offices in the next five years. The employee-owned company also has offices in Christchurch, Wellington, Auckland, Tauranga, California and Nevada, with around 270 employees servicing a diverse range of public and private clients. ENGEO Australia director Guy Cassidy said there were a number of excellent reasons why ENGEO chose the Sunshine Coast as the first location for the firm to touch down in Australia. “We could see the growth potential and opportunities that exist when we made our visits to the Sunshine Coast, and that really cemented the decision,” said Mr Cassidy.